People working in tourism depend on tips. Inquire whether it is common to give tips and how high they usually are. This can vary from region to region. Suitcase carriers, chambermaids, waitresses and waiters often can't live on their wages alone. 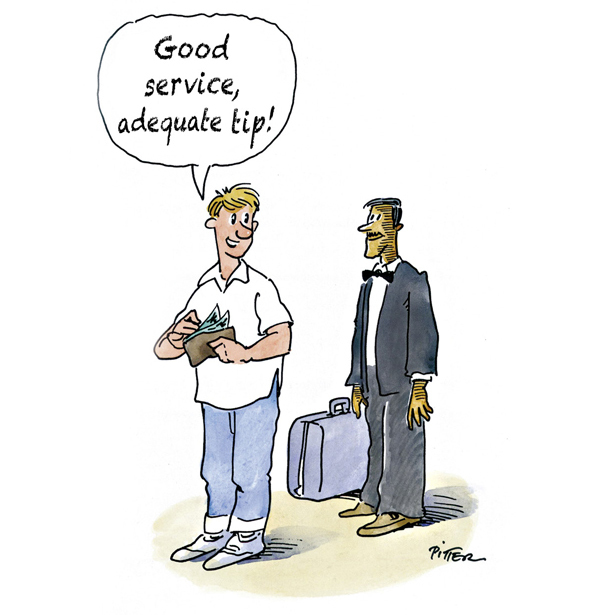 Give a generous tip if the service was good, but don't exaggerate, as you might give rise to false expectations. If the service was bad, give less money or don't tip at all. Explain why you weren't content with the service in a friendly way, without arrogance. Don't ever get involved in bribery. You would only contribute to the widespread corruption, a more "sophisticated" way of begging and fraud.